Right, It’s shaping up to be a very active autumn and winter in Steve-World. The new album I’ve been working on for a while has turned into two new albums! I recorded about 3 hours of new music for it, intending to put out one album of it. Having asked producer/promoter/manager/music maven Sue Edwards to help sequence the album, she came up with a beautifully coherent record, that only had two tracks overlapping with my shortlist of eight for my version… So we’ll release both. The second album took some rejigging to tell the right story, but it’s there, and I love them both. 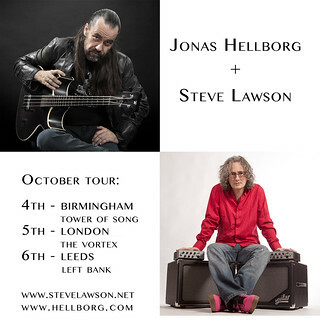 News Part Two is VERY exciting – in October, I have three live dates with one of my favourite bassists in the world, Jonas Hellborg. Jonas’ music has been a constant source of inspiration throughout my solo career, both as a solo bassist and a collaborative improviser looking to stretch the role of the bass guitar beyond the expected confines. We’ve been friends for years, but this’ll be the first time we’ve played shows together. 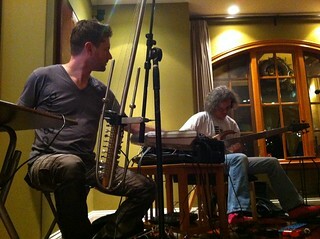 Two of the world’s leading solo bass guitarists together on one stage. Crossing musical boundaries and blowing listeners’ minds for over 30 years, Jonas Hellborg is one of the great innovators of the bass guitar. From the pyrotechnic flamboyance of his early solo electric albums, to his unique exploration of the richness and depth of the acoustic bass guitar, Jonas has changed the way people think about – and play – the bass. Whether as a solo artist, or collaborating with many of the most respected names in music, from John McLaughlin to PiL, Ginger Baker to Shawn Lane, Jonas’ signature sound and uncompromising creative philosophy have produced an unparalleled body of work, mostly on his own Bardo label. Lauded by press and public alike, this is a rare opportunity to hear Jonas up close in the UK. 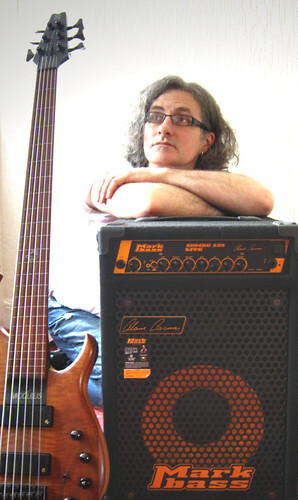 Steve Lawson is one of the most celebrated solo bassists in British music history – early in his career, he opened for Level 42 on their first Greatest Hits comeback tour, placing his unique take on melodic looping-based live performance in front of tens of thousands of bass aficionados. 15 years of regular gigging across the UK, Europe and the US solidified his place as a leading exponent of solo bass. Steve’s sound-world borrows liberally from electronica, jazz, pop, rock, ambient and experimental music, to form a sonic fingerprint as compelling as it is unique. 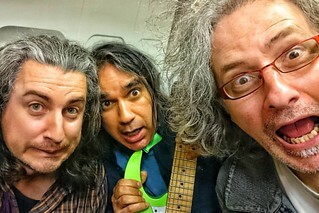 Following on from two years of wide-ranging collaboration, playing alongside musicians as diverse as Reeves Gabrels and Beardyman, Andy Gangadeen and Divinity, Steve is back with a fresh exploration of what the bass can be in the 21st Century. With the imminent release of his 12th and 13th all-solo albums (on the same day!) 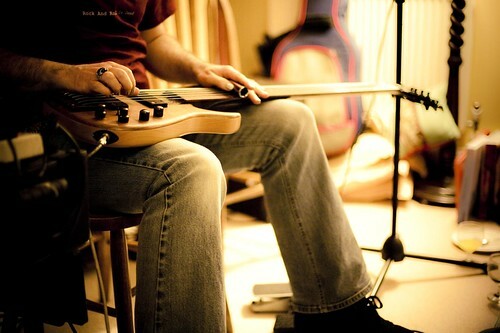 Steve is set to push the notion of what the bass guitar can be in 21st Century further still. Notes: First of three dates with legendary solo bassist Jonas Hellborg. One of my favourite musicians every to pick up a bass guitar. Really looking forward to this! Notes: Can’t wait to play the Vortex again! It’s one of my favourite venues in London. See you there! Notes: Beautiful music in a beautiful venue. So looking forward to this! A Gig. On My Birthday. And You’re Invited! December 2nd, 2013 · Comments Off on A Gig. On My Birthday. And You’re Invited! Right, here’s something I’ve never done before – a solo gig on my birthday. That’s December 28th, for those that don’t know. 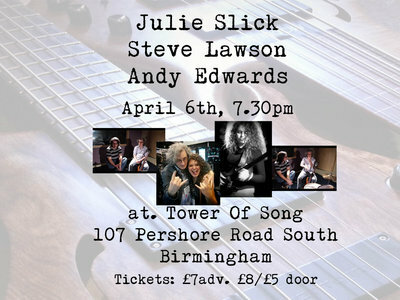 The gig will be at Tower Of Song, my favourite venue in the Birmingham area. 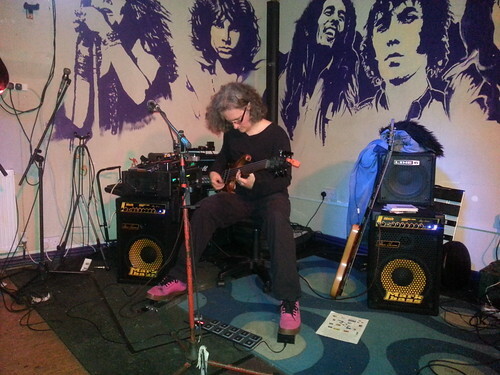 Birmingham Bass Night – A Resounding Success! 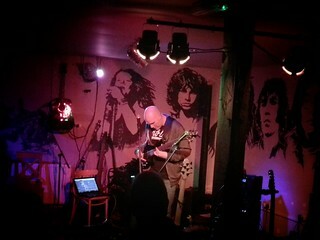 So the first Birmingham Bass Night was a resounding success. A comfortably full venue, some amazing music and a good time was had by all. Then me, doing my thing. Running a night and playing at it can be a stress, but I’ve done it enough and have stripped away the unneccesary stuff well enough that I had no such troubles here. 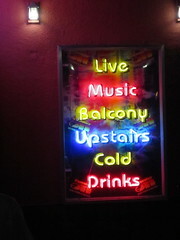 It helped that the venue, Tower Of Song, is SO musician-friendly. There are way too many ‘music venues’ these days whose primary concern is selling beer and musicians are just the bait to get people in the building. Tower Of Song is run by a dedicated and talented musician, Tom Martin, whose primary concern is to run a venue where music gets heard in the optimum environment. It makes a huge difference to how you play to know that your music is respected in that way by the people hosting you… almost house concert-like. Then our headliner was Lorenzo Feliciati. As I said in my introduction on the night, hearing Lorenzo’s musical world grow over the last 10 years has been a joy. He was already an amazing musician when I first met him, and has continued to stretch himself and find new vehicles for expressing himself musically. Definitely a kindred spirit. 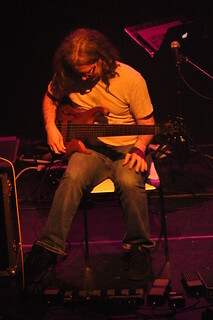 Of late, he’s put together an amazing band called Naked Truth, with Pat Mastelotto of King Crimson that combines fusion, ambient, post rock and deep improv to amazing effect. His latest solo album Frequent Flyer is also magical. 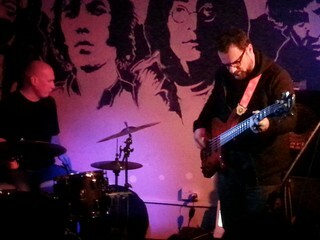 For Birmingham Bass Night, Lorenzo teamed up with Dave Walsh – a brilliant drummer from Leeds – for a duo set that covered Miles Davis and Alan Holdsworth tunes (Holdsworth for bass and drums duo?? yup.) and some of Lorenzo’s own compositions. It was a wonderful contrast to the more mellow sounds that Russ and I conjured up to have something that was at times ferocious and funky as well as gentle and contemplative. We’ll be doing another one in May.. stay tuned for an announcement about the line-up ASAP! May 25th, 2012 · Comments Off on Book A Gig!